Two months down! I’m feeling like we’re really in a good place … to tweak everything. We’ve spent the past few months figuring out the basics, and now we can hone and really put systems (and products/attitudes/schedules) in place to keep this little zero waste family grooving for the longer term. We weren’t exactly flying by the seat of our pants in January and February, but kind of. (Side note: we’re parents to a toddler so basically every day is just “winging it and hoping it works!”) We go to the supermarket more often than we probably could, and we also tend to bring more bags/containers than we need. Better to be overprepared, for sure, but I don’t like it to feel cumbersome. First, a note on the trash jar. Yes, I’ve jumped right onto the jar bandwagon made popular by Bea Johnson and Lauren Singer. It’s a standard way of showcasing this lifestyle and I’m happy to be “typical” in this regard. Really happy. 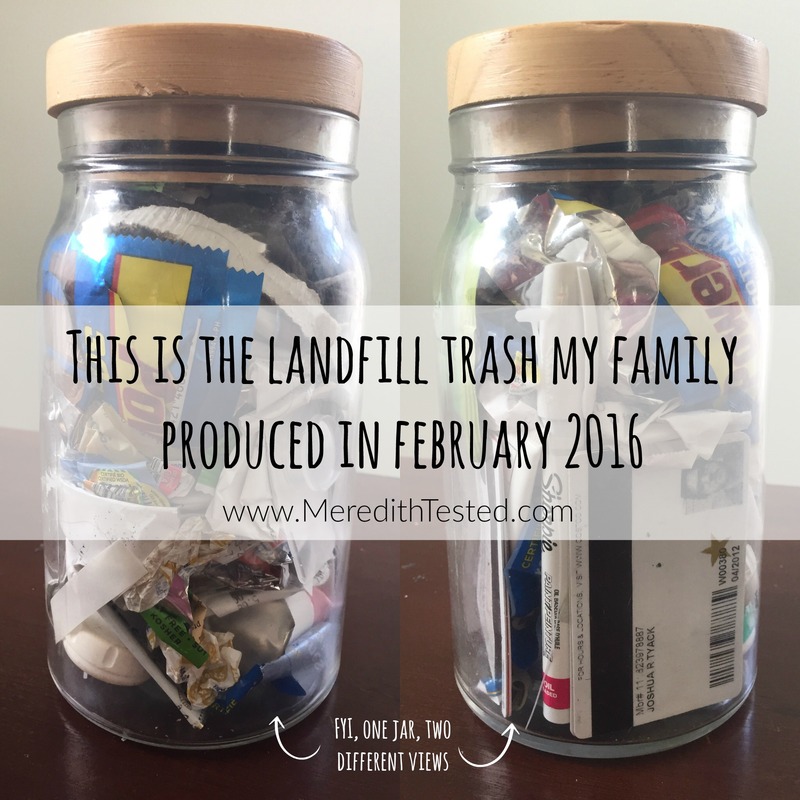 The landfill waste we produced in February fits in a f-ing jar. Wha?! I’m so psyched. Of course, no joke on March 1 my husband got a package in the mail just positively filled with plastic trash… but that’s for next month’s post (and jar) to deal with. 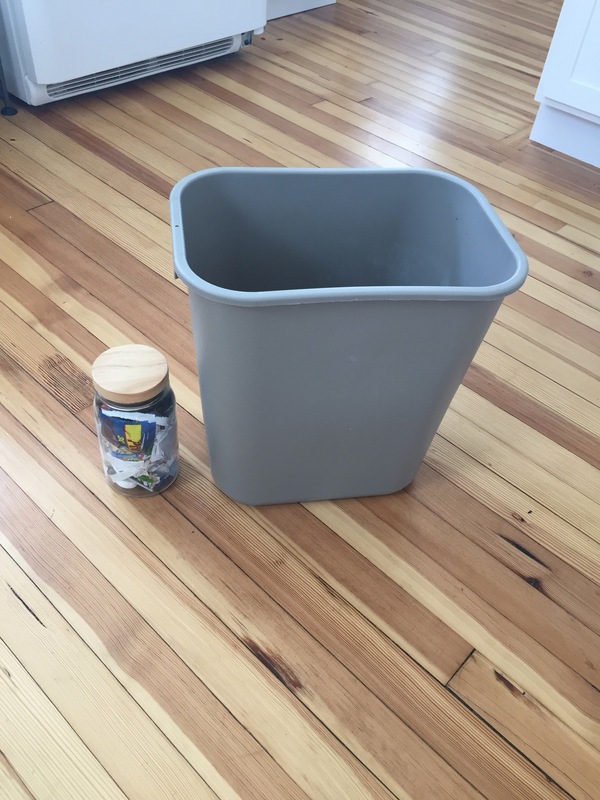 Without further ado, here’s our trash JAR from February! If you want to see more views of the jar (we need more cowbell jar!) check out my video on Instagram here. At this point I’m not tracking/showcasing my compost or recycling but I’d like to start trying to limit our family output in those areas too. The zero waste mantra of ditching single-use items does definitely focus on recyclable/compostable items as well and we’re not perfect there yet. Not that we’ll ever be, but I’d like to decrease the number of single-use items that come into our home, regardless of whether they can be recycled or composted. Speaking of single-use items that aren’t in our trash jar, there were a few no-good very bad days or just “oh sh*t!” days where we got takeout without reusable containers. We got Chipotle more than once and have saved the containers. Just ask that everything you’re getting be put in the compostable bottom and they won’t add paper/tinfoil. We also got pizza – the box is recyclable and/or compostable at our local waste management location depending on if food got on it. Zero waste dog food is proving to be more difficult than I’d hoped. I currently can’t get bulk food in my area. Right now I’m testing out a brand that’s dehydrated which I like, but it’s a bit messy to rehydrate, and while the box is recyclable, it still comes with a plastic bag. My love for jars has not diminished in the slightest. I especially love the wide-mouth jars because they can literally be used for everything. My distaste for unnecessary plastic – as food, meat and produce wrapping, in particular – has increased to an uncomfortable degree. I think I’ve proven to myself that I can make a lot of things comfortably and regularly from scratch with the bulk ingredients available to me. Now I want to try and contact local companies and purchase things package free. It would be nice to have more “emergency” food stores or just more ready-to-eat or easy-to-make things that can prevent me from ordering out. I’m slowly figuring out how to stop the flow of junk mail and catalogs, but we’re still receiving more than I’d like. I think I’ll have to contact the companies one by one at some point. Oh! And if you’re wondering why I’m using a jar for my trash if I f-ing love jars so much, it’s because this one doesn’t exactly have a tight-sealing lid. It was originally purchased to hold dog treats, which my dog now rejects (probably because she get’s so much people food from my toddler now, ughh) so it’s been sitting on a shelf empty. Want me to write more about something I’ve mentioned here? A post all about dog food, for example? 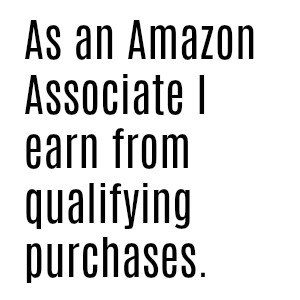 Let me know in the comments or email meredithtested @gmail.com. Hi Meredith. I am LondonBetty on instagram and just started following you. You’re blogging is so helpful for me as I am a few months behind on my journey. I live in UK right now and it is hard. They are committed to plastic it breaks my heart. Did you solve the dog food problem as I know the US west coast has large bins you can shop from? Also I’m thinking about making peanut milk as it’s supposed to be yum. I find making nut milk very calming and a proud moment taking that first sip. Good luck on your journey! Some days it is super easy and some days are hard work. I broke down today and bought a single serving popcorn in the lil bags. I was really craving a salty snack while out. Have you ever seen popcorn or potato chips not packaged in something plastic?? I totally get it! Progress not perfection is seriously my mantra in all things, especially going zero waste. I can get veggie chips (potato/carrots/other root veggies) in bulk at my local health food store and popcorn can be made easily on the stove top or in an air popper. Kate Arnell has a great video about making popcorn on her YouTube channel Eco Boost Blog. But sometimes you just have to buy something in packaging, I get it!